The far southwestern corner of Andalusia is somewhat off the beaten track, but those who venture there are in for a big dollop of history, a scenic national park, quiet and beautiful beaches, and fresh seafood galore. Its 75-mile coastline on the Atlantic is called the Coast of Light, or Costa de la Luz. The distance from Seville, Spain, to Faro, Portugal, is about 125 miles and can be driven in about two hours. But you'd miss a lot if you just drove straight from one place to the other. Here's what you can expect to find along the way. Seville is the capital of Andalusia and is known for its abundance of Moorish architecture. The Moors controlled Andalusia from the eighth to the 15th centuries, and history resonates all over Seville. But before that, the Romans were there. It's known for its sunny climate and modern outlook against its ancient roots. Doñana National Park, on the Guadalquivir River where it flows into the Atlantic, is dotted with marshes, lagoons, dunes, and scrub woodland. It is a sanctuary for birds and waterfowl. It's 36 miles off the main road to Faro, southwest of Seville, but it's worth the time. Huelva, halfway between Seville and Faro, sits on marshland. Much of its long history was lost when the city collapsed during an earthquake in 1755. But it's interesting nonetheless. The British came and made it a colony in 1873 when they set up the Rio Tinto Mining Company. The Brits brought along their civilization: private clubs, Victorian decor, and a steam railway. The locals still are ardent players of billiards, badminton, and golf. Francisco Franco sent the Brits packing in 1954, but relics remain. Isla Canela is an island just south of Ayamonte and on Spain's border with Portugal. If you want to languish on the beach and eat some delicious seafood, this is the place. Ayamonte has an old town district with the requisite narrow streets that exude charm and appeal. Plazas are interspersed along these streets, and you'll find many fun bars and restaurants that make for a pleasant afternoon's stroll. These two spots make for an interesting stop on the way to Faro. 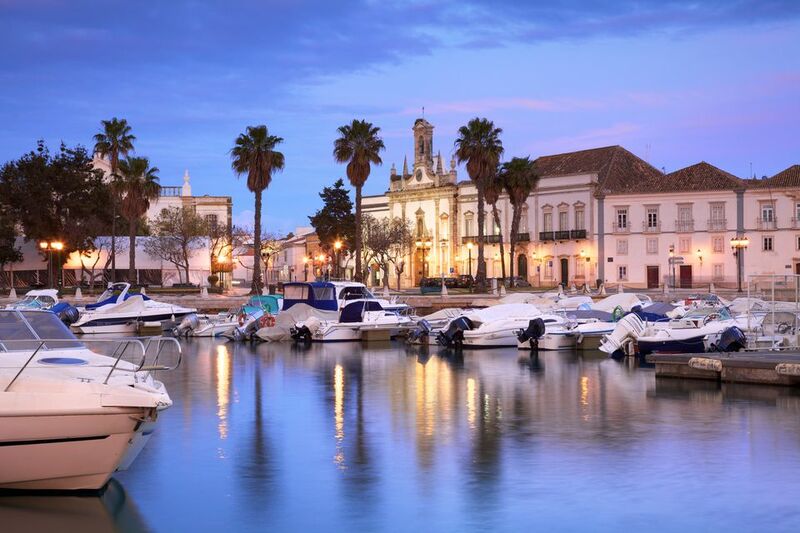 Faro is the capital of Portugal's Algarve region, and like Andalusia is relatively undiscovered by travelers. Its old walled town is filled with medieval buildings and exudes the usual charm, along with cafes and bars with alfresco seating that takes advantage of its mild-to-warm and sunny climate. Faro is close to beaches on the Ilha de Faro and the Ilha da Barreta. Follow the A22 and A-49 for this easy and interesting drive. It takes about two hours if you drive straight through. You can stop on the way for a short visit to any one of the interesting spots along the way or stay overnight to take in more of the Coast of Light between Seville and Faro.